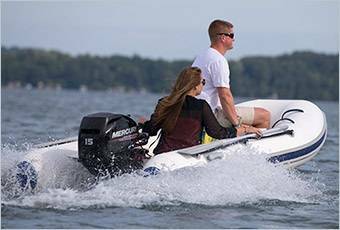 Mercury Marine has launched a new repower promotion that includes the 9.9hp ProKicker, 15hp ProKicker and 30hp and above outboards, including popular FourStroke and OptiMax engines. Consumers who purchase a qualified engine from a participating dealership now through March 31, 2014, will receive a rebate of up to $1,500. Boaters considering repowering with a reliable and efficient Mercury outboard can get more details about the Mercury Repower Sellathon promotion from their participating dealership.